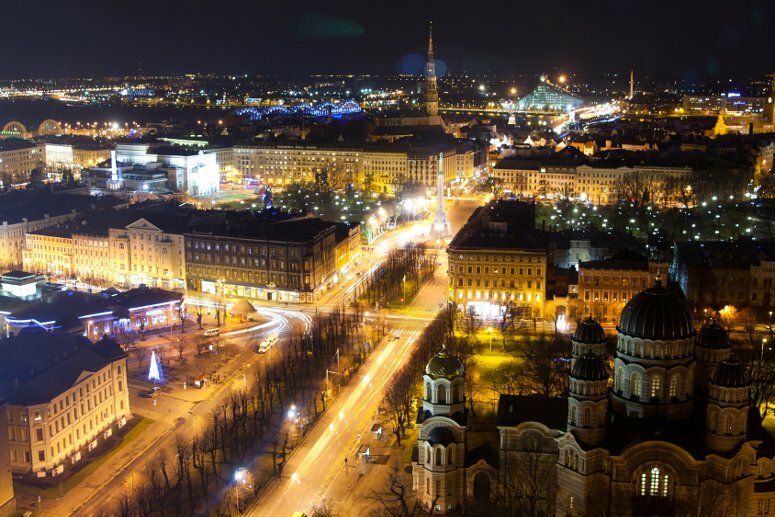 Exploring Riga will be a surprise for all visitors. Whether you have a week, more or only a few days, here's an (in)complete choice of things you should do and see during your stay in Riga. 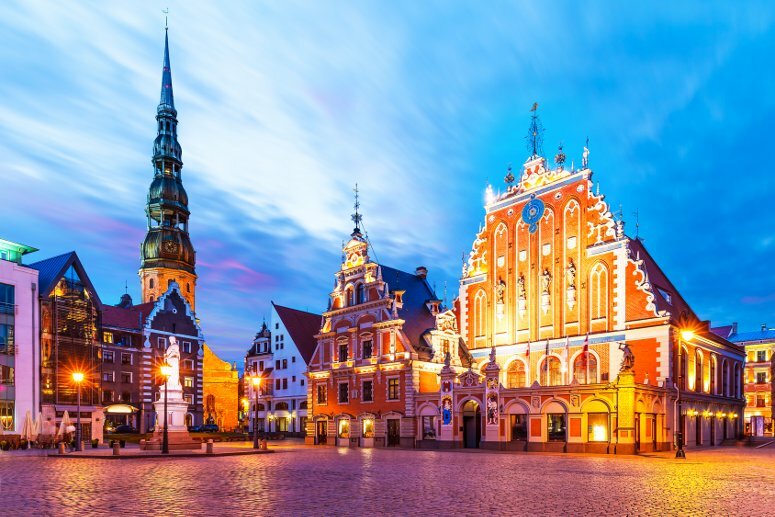 The heart of Latvia’s capital is Old Riga (Vecriga in Latvian), the oldest part of the city, a UNESCO World Heritage Site since 1997. The Town Hall Square (Rātslaukums) is the centre of the old town: here you can see one of the city’s landmarks, the House of the Blackheads (Melngalvju nams), an authentic architectural masterpiece. This severe and imposing building, originally constructed in the 14th century and completely rebuilt at the end of the 20th century, after the Germans and Soviets had completely destroyed it, used to be a guildhall for German bachelor merchants trading in Riga. Past the Statue of Saint Roland, the patron Saint of the city, the old town spreads out in a maze of cobbled streets, where you can easily get lost. Walking along its narrow alleys, you will come across a series of bizarre houses and buildings, coming straight from the medieval past of Riga. 2 of the most famous examples are the Three Brothers, the 3 oldest surviving houses of medieval Riga, and the Cat House, with its angry-looking cats that – according to a local legend – were positioned on its high turrets in defiance of the House of the Great Guild (Lielā Ģilde), which stands right across the street. Wandering around Old Riga, you will automatically get to the Cathedral, that can be considered in itself a synthesis of the artistic history of the city. Its construction started in 1211 and since then the church never stopped growing. The building harmoniously blends Romanesque, Early Gothic, Baroque and even Art Nouveau elements in a beautiful whole. Inside the Cathedral, you should check out the famous Pipe Organ, a legend amongst organists for its unique sound. This enormous market place was built between 1924 and 1930, by reusing the framework of a complex of hangars employed to shelter Zeppelin airships during WW1. The market-place is part of Riga’s cultural heritage: its decorations are Neoclassic and Art Deco. The lively food-stalls display the most complete ‘collection’ of typical Latvian products. It is possible to book a food tasting tour with local guides leading you through the food stalls to introduce you to local tastes and dishes. 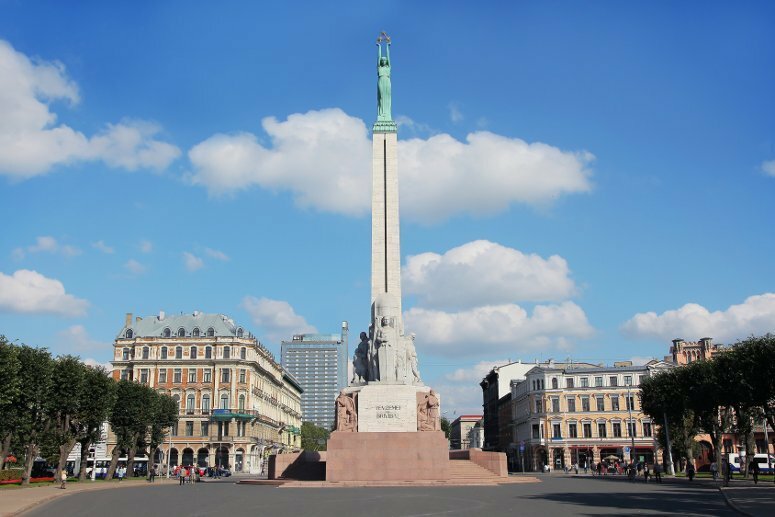 Not far from Old Riga, the Freedom Monument (Brīvības piemineklis) is another city’s iconic landmark. Completed in 1935 by sculptor Kārlis Zāle, the monument represents Latvian peasants as they sing, work and fight for their freedom. Standing on top of a 42-meter granite column is a woman lifting 3 golden stars to the sky. The woman symbolizes freedom and the 3 stars are the 3 regions of Latvia (Vidzeme, Latgale and Courland). 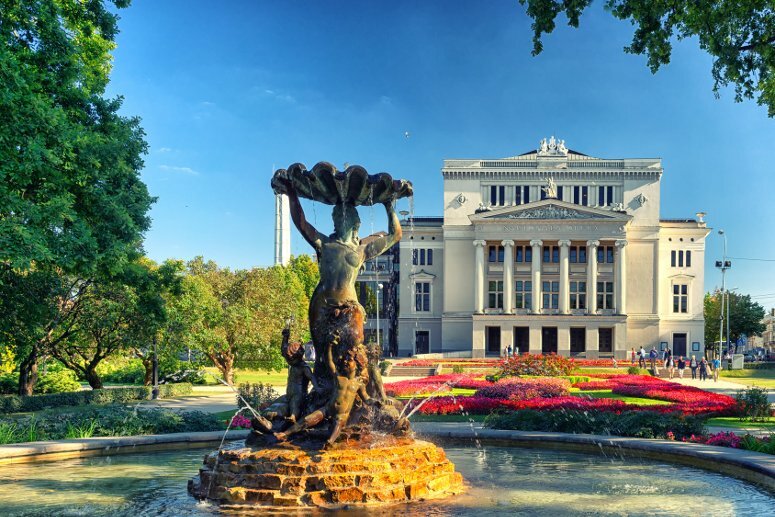 The Latvian National Opera House, located along Aspasijas Bulvaris, next to Old Riga, is one of the symbols of the reconstruction of a Latvian cultural identity and one of the first building to undergo a radical restoration after Independence. Nobody forgets that Richard Wagner himself worked here during his legendary stay in Riga. Guided tours in different languages are organised to take you through the interior of such architectural masterpiece. 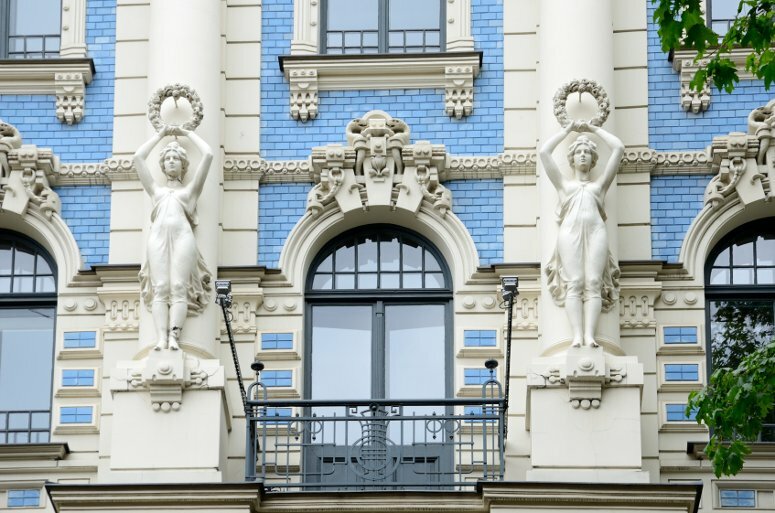 In the early 20th century, when Riga’s economy was thriving, an impressive number of buildings were build in the center of new Riga, following the Art Nouveau architectural style (Jugendstil), forming what is now called the Art Nouveau District. 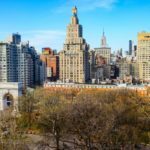 These buildings, that in most cases were built to be the homes of the wealthiest families, are characterized by rich façades filled with decorations and gigantic statues of women, lions and medusas. The largest collection of this phantasmagorical houses can be seen along Elizabetes Iela. The neoclassical building, erected in 1905, that houses the Latvian National Museum of Art (Latvijas Nacionālais mākslas muzejs) can be found in Janis Rozentals Square, near Alberta Iela in the ‘Art Nouveau District’. 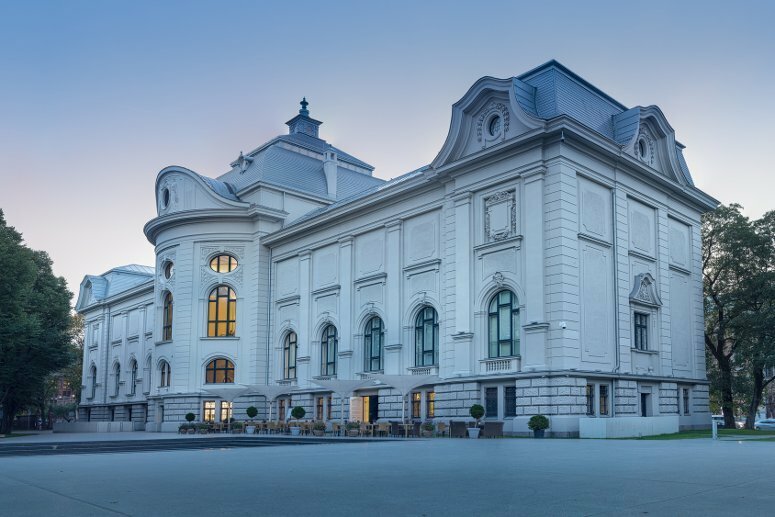 The museum is the perfect place for getting introduced to Latvian Art: it includes 4 museums and 1 exhibition hall, the latter offering temporary exhibitions on specific themes. The main exhibition includes more than 50.000 art-works from Baltic and Russian artists and all the masterpieces of the 3 founders of the Latvian national painting school: Vilhelms Purvītis, Jānis Rozentāls, Johans Valters. On a lighter chord, if you take a stroll to suburban Riga, you can visit the Riga Motor Museum (Rīgas Motormuzejs), located next to a racing track. The building of the museum is shaped as the front bumper of a car. 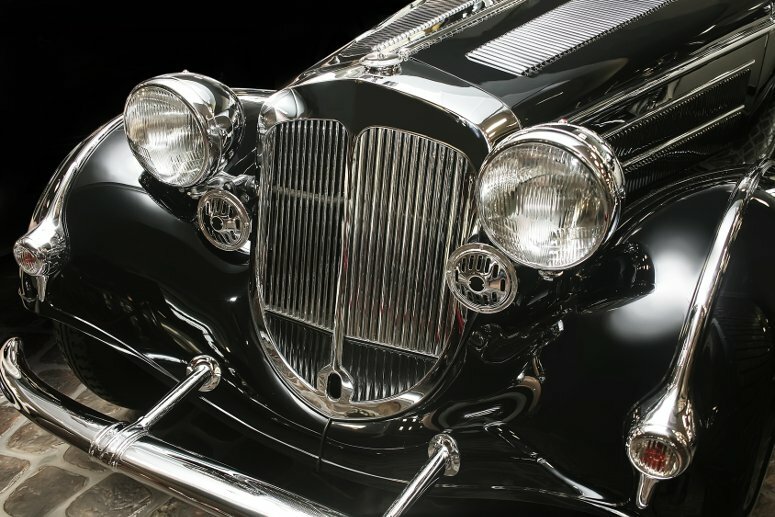 Inside, you will be introduced to many historical and iconic motor vehicles from the 20th century, including cars that were once owned by Stalin, Khrushchev and Brezhnev. For practical information, check this link out. 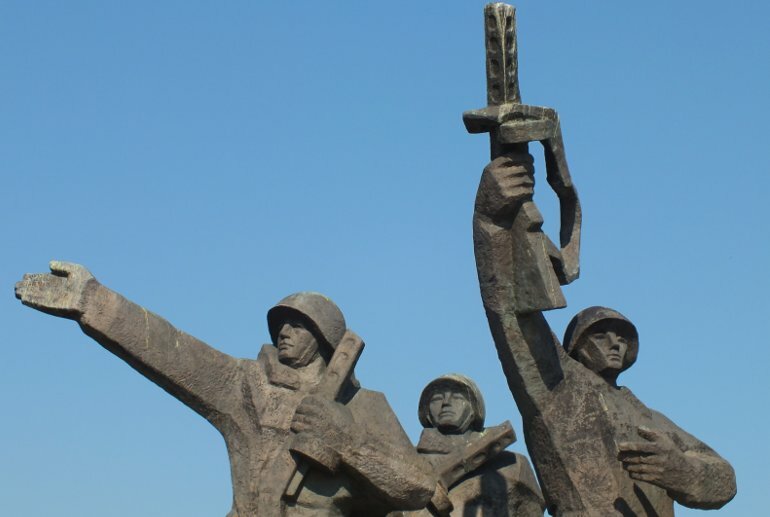 Located on the left bank of the River Daugava, 10 minutes distance from the city centre, this park is notable not only for its controversial Victory Memorial to the Soviet Army (Uzvaras piemineklis), celebrating the victory of the Red Army against Nazist Germany in WW2. The 36 hectares area of the park is also a popular place for recreational activities. In winter time, it features a spectacular cross-country sky track with artificial snow; in summer, it is used as a roller skating track. 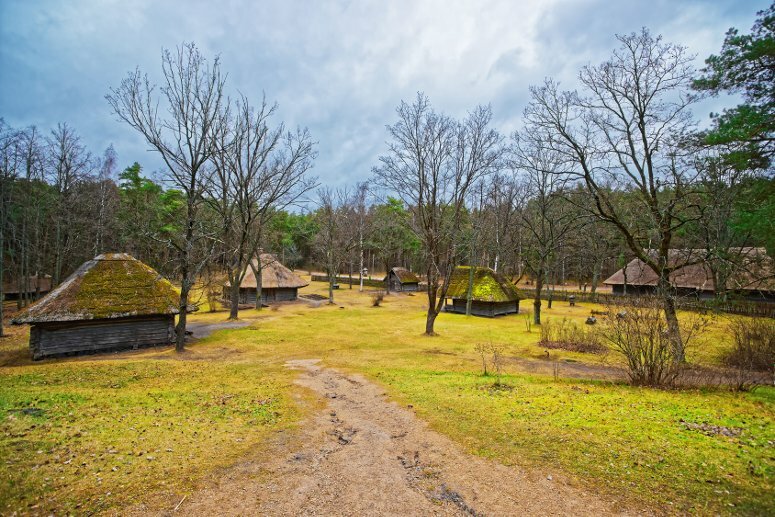 The Ethnographic Open-Air Museum of Latvia is a vast outdoor museum, established back in 1924. It includes 118 buildings, representing historical settlements from all over Latvia. For each historical period, area and setting, the whole context and atmosphere of a typical settlement is recreated, including objects from everyday life, working tools, folklore and games. The open-air museum is only a half hour’s drive from Riga’s center. In summer and springtime, it can be easily reached by bus or by bike, along the brand new cycling track that embraces the city. Most of the nightlife in Riga takes place in the old city: many pubs and club houses can be found along Aristida Briana street. A number of Riga’s bars have original locations, such as old warehouses, music schools or abandoned factories. Some of the most original ones you may want to check out are Chomsky, Rasols and Latvia’s 1st Rock Café, which is nested inside a beautiful baroque building. Skyline and Star Lounge are finally 2 of the most famous cocktail bars of Riga. The plus is that they are situated on the upper floors of hotel buildings from where – at the end of a long day – you can enjoy a beautiful view of the city. If you decide to do the experience of a night in Riga, then don’t forget to taste the famous Riga black balsam, a traditional liqueur made of herbs and mixed in pure vodka. There are so many things to do in Riga that visiting the city will take you at least a couple of days. So, if you are planning your trip to Riga, you need to find a roof for the night. 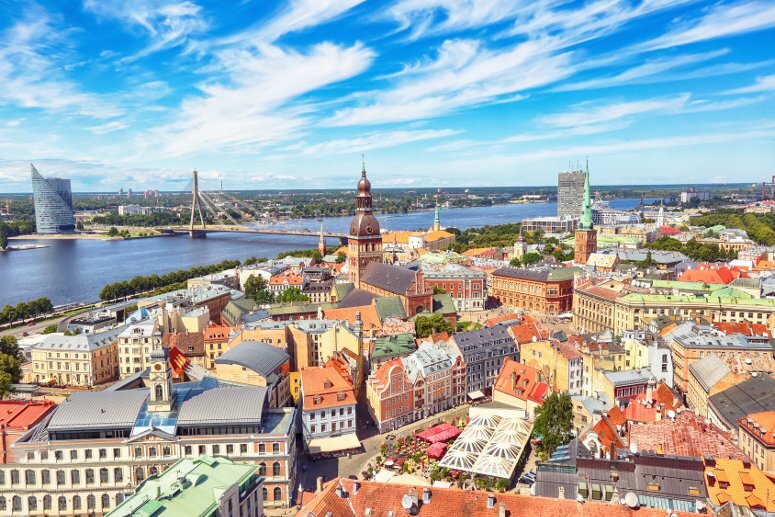 Fortunately, Latvia’s capital has hotels for all needs and budgets: from cultural and chic hotels to convenient and sober properties, you will certainly find what you’re looking for. 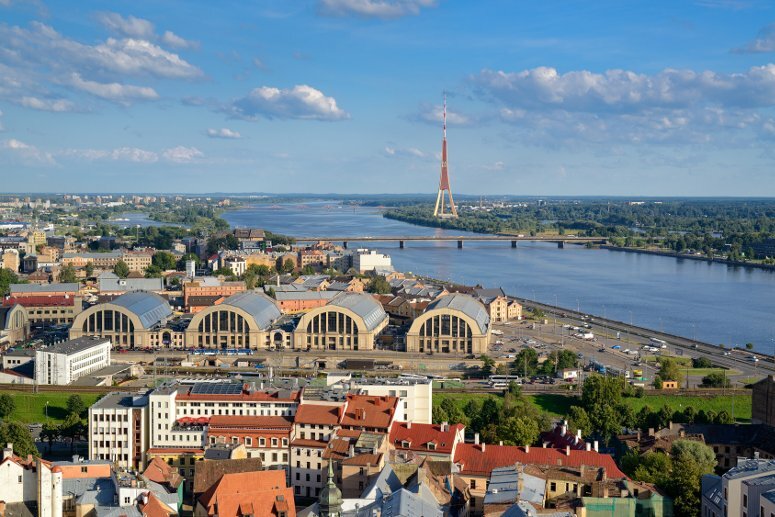 Riga is the largest and most ancient metropolis in the Baltic region. Founded back in 1201, Riva has been a crossroad of many cultures. Today the city is, both culturally and socially, in full bloom and you should definitely experience it.